If you live in east central Indiana, or west central Ohio, you have picked the perfect site to find a veterinarian. Dr. Sally Osborn is a licensed veterinarian, who focuses on treating dogs and cats. Your pet's health and well being are very important to us. We take every step to deliver the best possible medical care. Greens Fork Animal Hospital located in Greens Fork, Wayne County, Indiana is a full service animal hospital and takes not only routinely scheduled medical, surgical, and dental issues, but emergency cases as well. Dr. Sally Osborn is experienced in all types of conditions and treatments. Our entire staff is knowledgeable and receives on-going training to be effective pet health advocates. We have a number of resources for you to learn about how to take better care of your pets. Browse around and look at our articles, website links and pet videos. If you cannot find the answer to your question please do not hesitate to call us at 765-962-4389 or 765-886-5191 or e-mail us at drsally@gfah.com. The best veterinary care for animals is still good quality nutrition and prevention of problems. 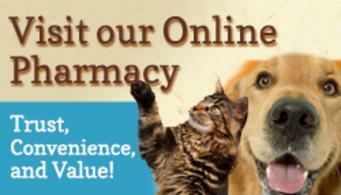 We evaluate your pet's total healthcare each time they come in and make appropriate changes. Our Greens Fork veterinary office is easy to find. Go to the Contact Us page for directions or call the office. At Greens Fork Animal Hospital, we want to get to know you and your pet better so we can tailor our medical plan to fit your needs.